Planning a destination wedding on a budget? Choosing to get away for your big day is already a savvy move, especially if you choose a resort wedding package. The destination does all the work – often literally – and you get to shrink the guest list and skip the cost and stress of caterers, florists, entertainment, and other vendors. But some resorts and hotels are more affordable than others, so it’s important to start with a destination in your price range. 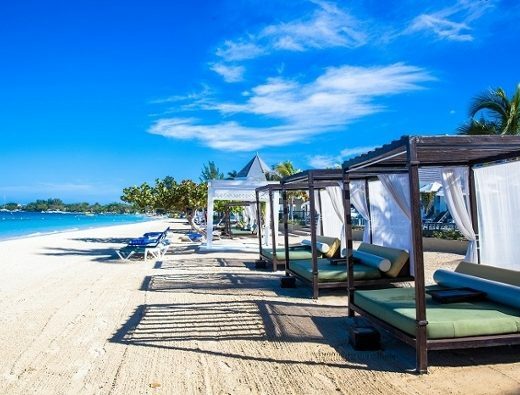 We’ve put together a list of eight all inclusive budget resorts perfect for cheap destination weddings. 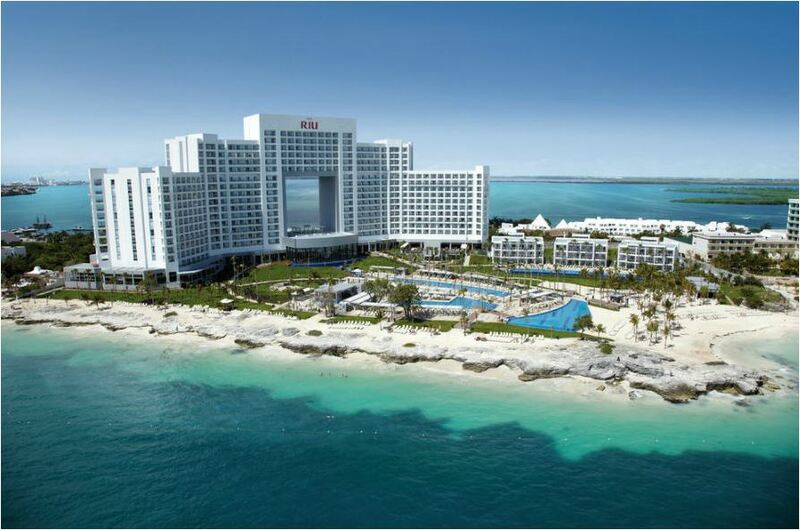 At this all inclusive beach resort in gorgeous Cancun, the views are picturesque and the amenities (like a swim-up bar and luxurious spa) will make you forget you didn’t pay a fortune. Book one of three adults-only villas in the garden, or invite the whole family and take advantage of the resort’s child care program. 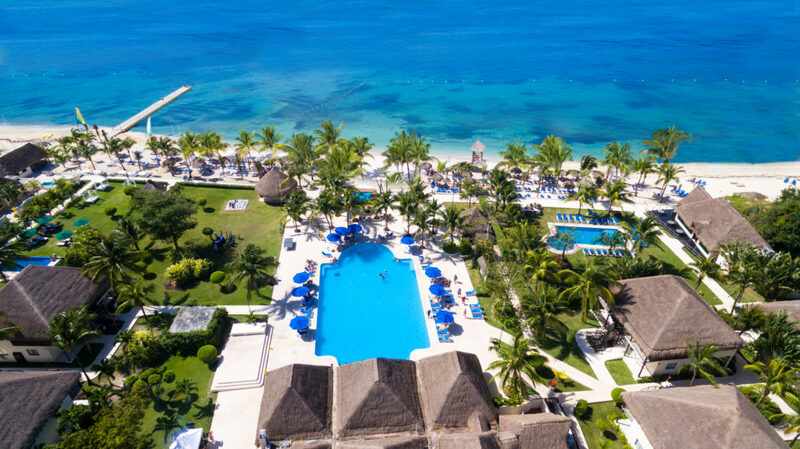 A collection of gorgeous tropical villas on the island of Cozumel, Allegro Cozumel is a great choice for couples who love to swim, snorkel, scuba dive, or sunbathe. 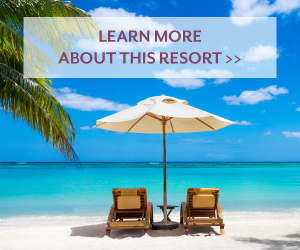 Restaurants, bars, pools, a water park, a beachfront hot tub area, and water sports opportunities are all available as part of your stay here. 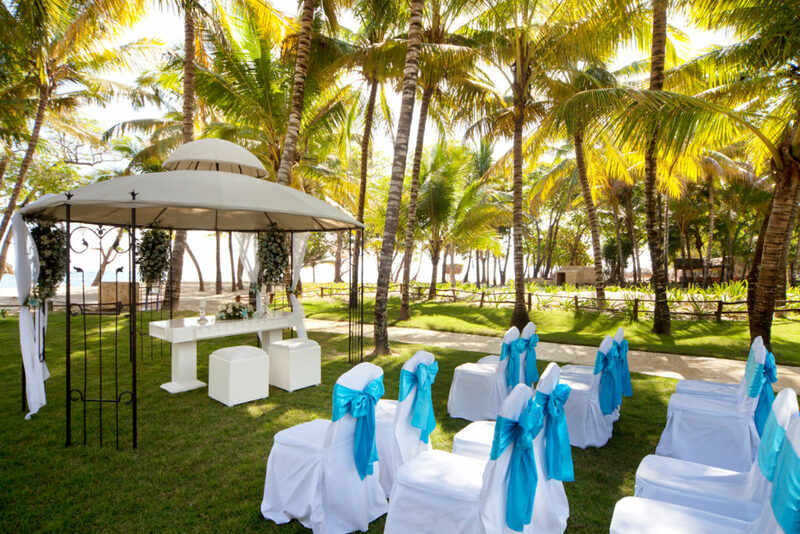 Affordable destination wedding packages at this Caribbean treasure include everything you need for a tropical ceremony, from bouquets, cake, and wine to a cocktail hour and dinner reception for your guests. If you want a truly unique and exotic experience, stay at Sandos Caracol in Riviera Maya. This beachfront jungle resort includes everything from water slides and pools to beautiful, ancient sinkholes and a white sand beach. 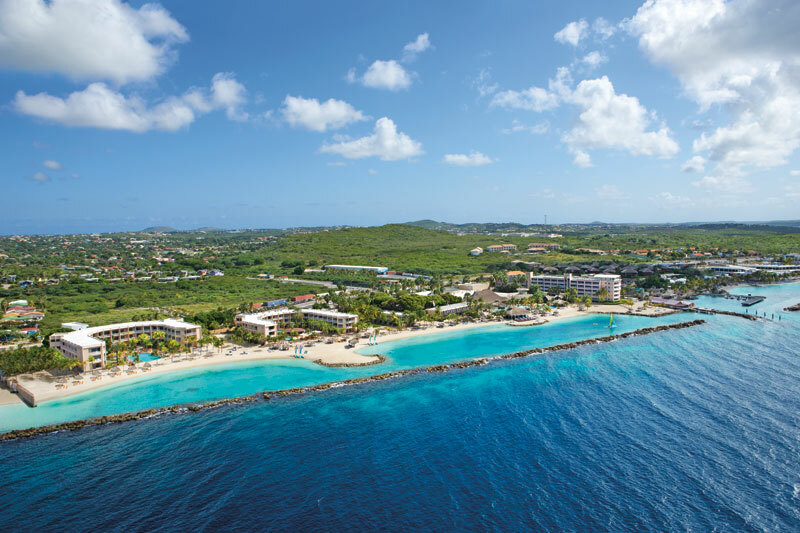 Want your wedding to be an adults-only adventure that includes plenty of tropical views? 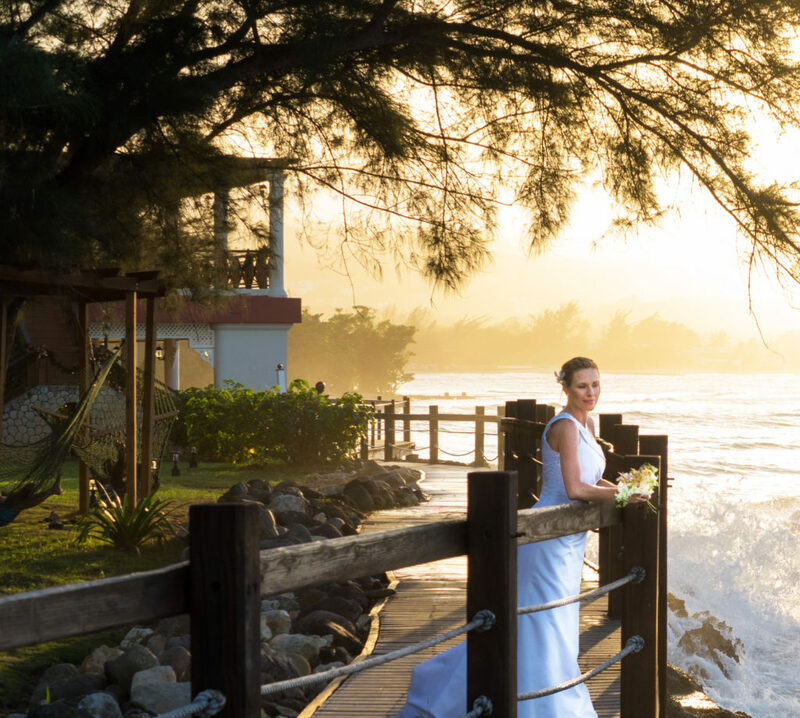 Get married in a little slice of Jamaican paradise, Jewel Paradise Cove. The price of your stay includes unlimited dining and drinking, plus snorkeling, waterfall, glass bottom boat, and shopping excursions. This five-star Dominican Republic hotel is surrounded by gardens and nestled right on the Atlantic Ocean. 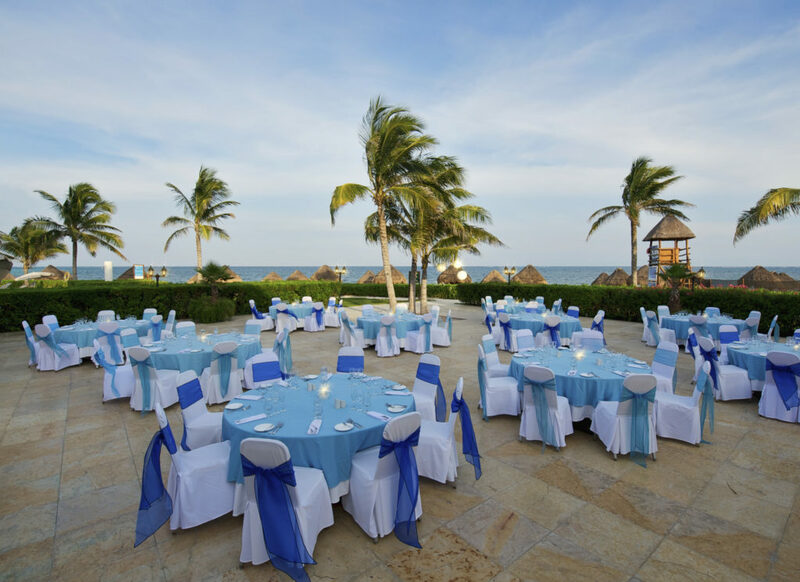 Plan an inexpensive destination wedding here for five-star amenities without a steep price tag. 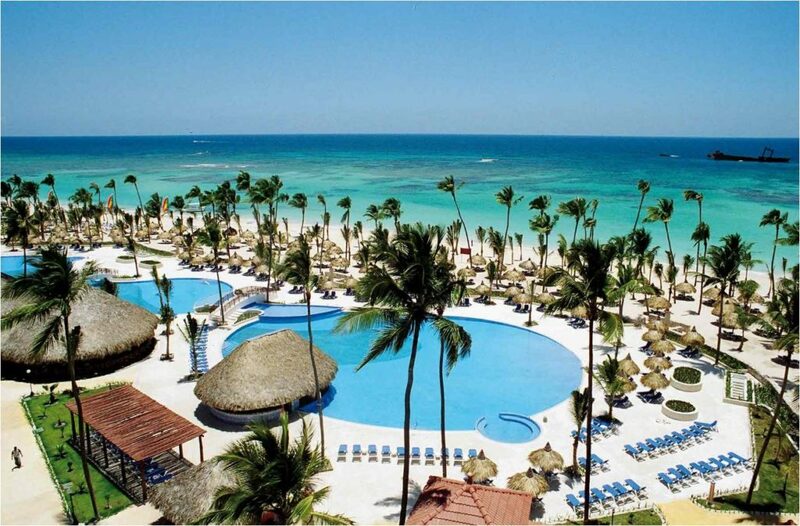 At the Grand Bahia Principe Bavaro Resort, you get to experience Punta Cana while indulging in an intimate, entertaining retreat you’ll never forget. Nonstop activities and a fun-loving staff make it an easy choice for couples who want to throw a fun but affordable wedding for a small group. 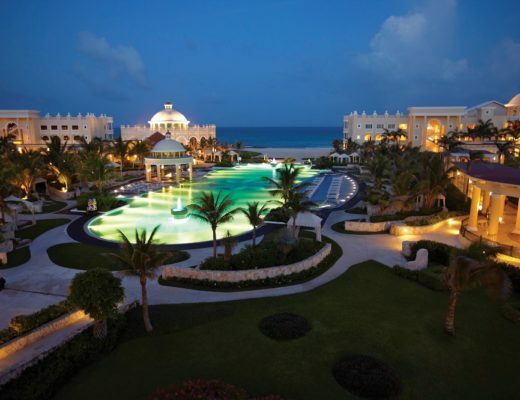 This award-winning five-star resort is a true gem sitting right on the deep turquoise waters of Riviera Maya. 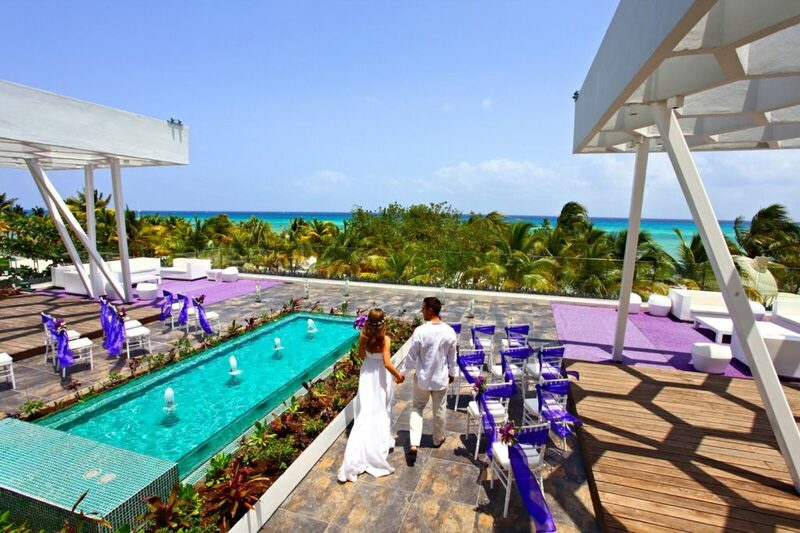 Every suite is a modern masterpiece, and the pools, beach, terrace, and spa center are where wedding worries go to float away. 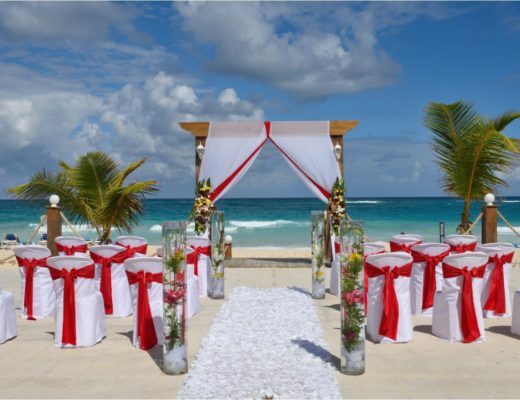 Need more information on affordable destination weddings? Check out our website and Pinterest!